I have watched many boxing matches on TV over the years, and have always been impressed by the extreme fitness and skill that they bring to the ring. 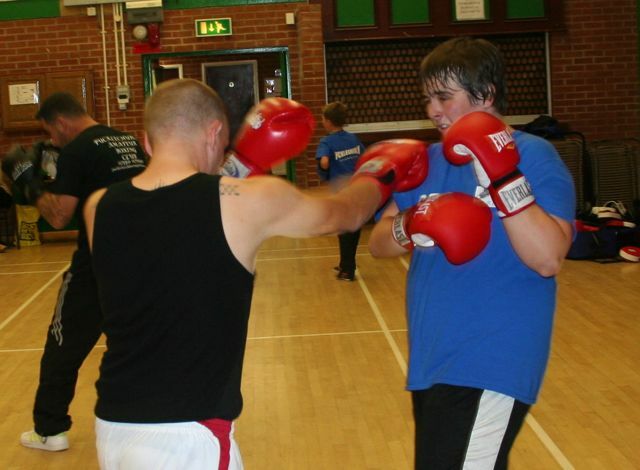 So whats it like to train as a boxer and spar? Time to find out! 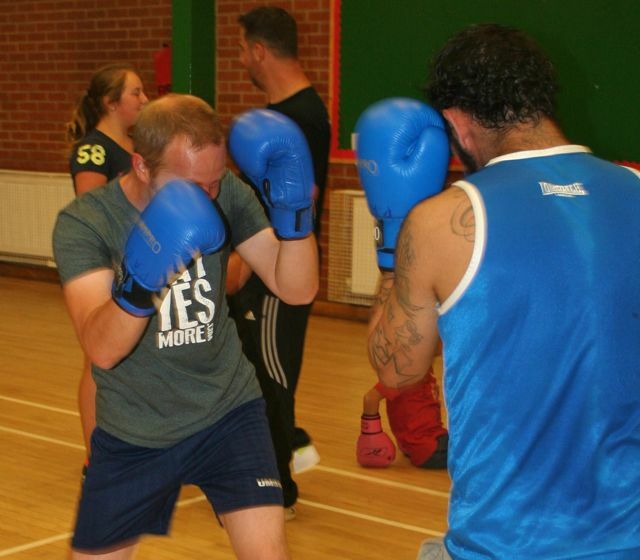 I bumped in to the guys who run the Pucklechurch Amateur Boxing Club at a local fete and briefly explained what I was doing was doing with the Challenge200, and they kindly invited me to come and have a go! Boxing lesson was on! Leading up to night of the lesson I talked a friend, Anders Lewis into joining me. He had previous experience through Mu Tai, so this was right up his alley. We arrived at the gym to a warm welcome and were soon skipping around and getting warmed up. I was really apparent to us that we were probably the oldest there apart from Edd Baker who ran the club. At first this seemed a little bit crazy for us, but actually seeing lots of kids getting off the streets and getting involved, soon put that thought out of our heads, it would be just be easier going right? Wrong, we were going to get a full workout by the club and what you put in you would get out, so we went for it. Some of the exercises we did were a killer, especially punching up in to the bags, my arms were on fire and left was getting rather heavy by the end. Great to see the kids getting stuck right in! A sparing session with Marc was setup, which seemed like a good thing to do, but as I found myself telling him “not to take it easy on me” I suddenly thought, what am I doing? I used everything I had learned in the first hour to try and get a few, sorry one punch in, but true to his word, Marc jabbed and uppercut when I left myself open, which was rather a lot. He caught me with a beauty to the chin, which to be honest he probably didn’t put much in to, but it made me recoil and take note! We ended the session with a game in two teams which was really fun and a nice way to end an eye opening and fun session. 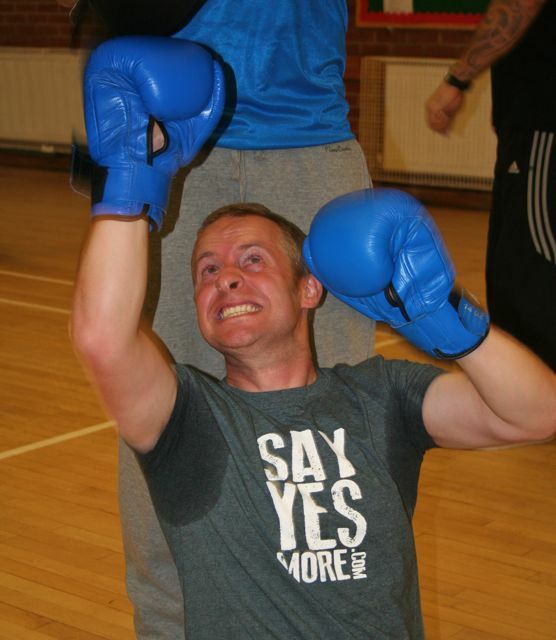 The guys really gave us a good idea of what boxing and the training is really like, although nowhere near like being in a ring for fight night, but a realistic idea of what taking a few punches is like, and a great insight in to the training boxers go through to get to a good level. A lot! Dedication to this sport is paramount, my hat goes off to them! One thing that stood out about the session was the kids in the club. They were really keen, off the streets and enjoying the training. That has to be a good thing. 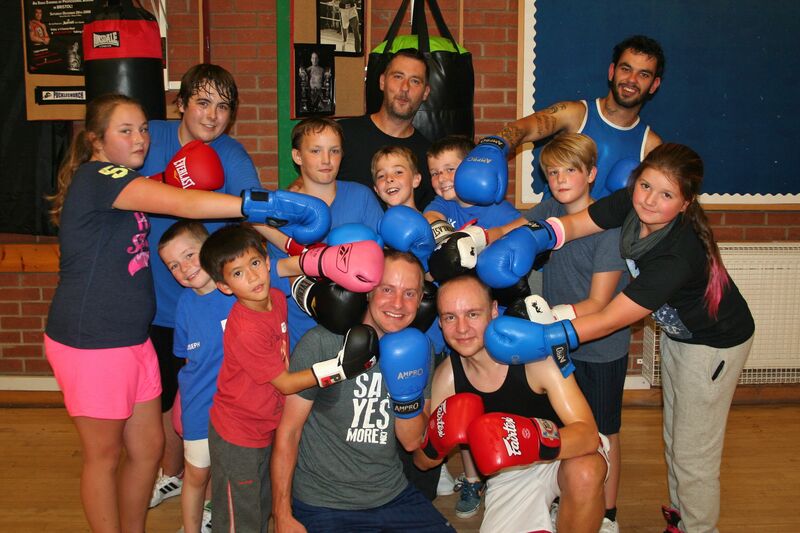 If you would like to check out the Pucklechurch Amateur Boxing Club visit their Facebook page, and if you think you might be able to help them raise the money to get a ring to practice in drop them an email, they would be very grateful!